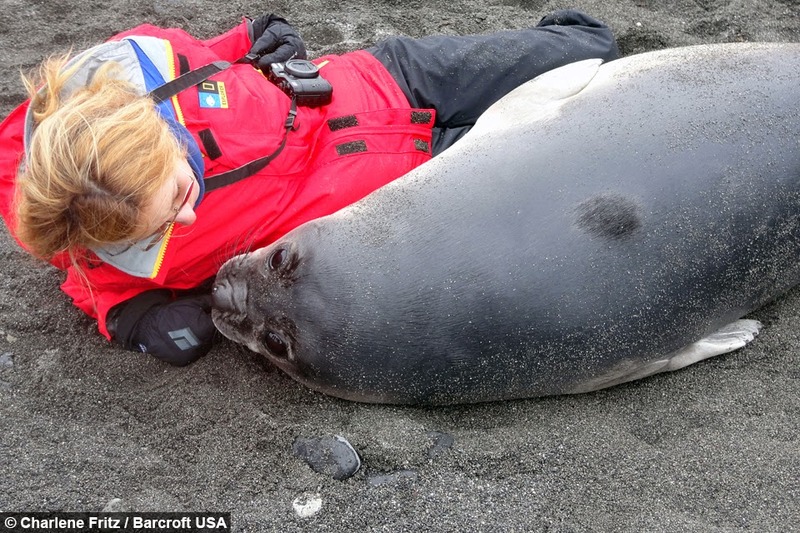 Cuddles from an elephant seal would normally end in a crush - but this pup was just about small enough to indulge in some hugs with this lucky lady. 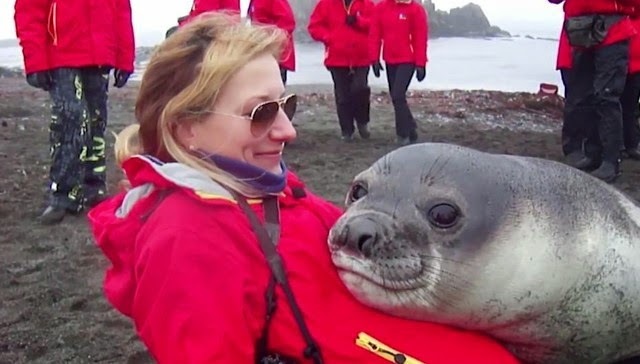 Canadian Charlene Fritz, 35, encountered the curious baby during an expedition to Snow Hill Island in the Antarctic Peninsula.The seal was no more than two months old but already weighed a whopping 200lb. Fortunately yoga enthusiast Charlene was able to perform a reclining hero pose to prolong the magical encounter - as a friend captured filmed them. 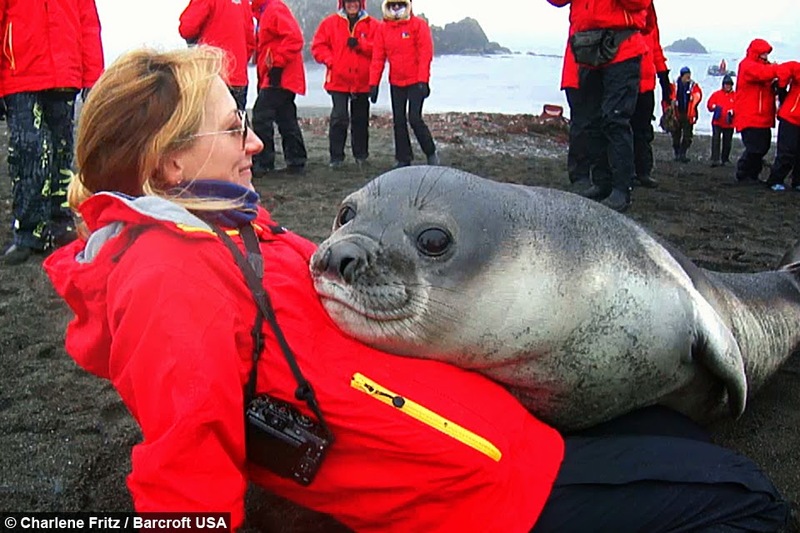 Charlene, from Saskatchewan, said: "The seal climbed on top of me without hesitation. We shared a very sweet moment in time I will never forget." "Her mouth was all pink inside and her eyes were amazing to look into. Like the deepest depths of the sea. I could have stared into her eyes forever." She added: "It was made very clear to me that I was in no way allowed to touch her with my hands or approach her." Responses to "Snuggly Baby Seal Just Wants A Little Love When Mom's Not Around"
Then why did she sit down and allow the baby on her? Cute but not quite with the progam?